Home » Food » What are geode cakes and why are they so popular? There’s hardly anyone who doesn’t get excited at the prospect of cakes. And when it comes to special ones, like those for anniversaries or birthdays, those rank high on the list of elegance and poise. 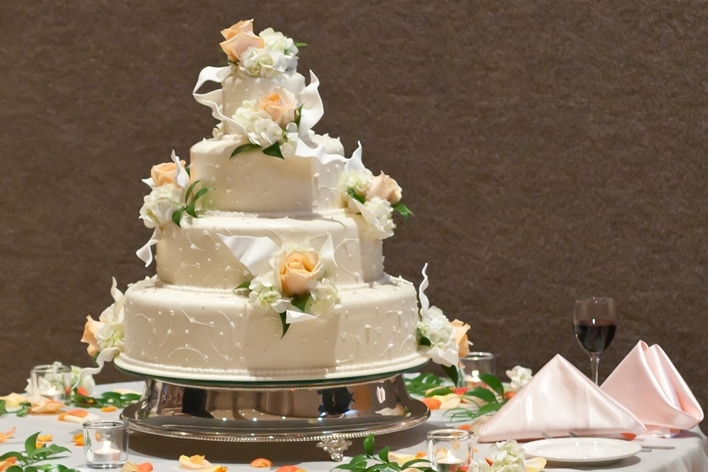 There’s something spectacularly lovely about a simple white (or ivory or eggshell white) buttercream frosting, that holds a place of prestige at the feast as couples step into marital bliss. But if you haven’t been living under a rock and are a frequent on either Instagram or Pinterest, you’ll know that these elegant, elaborately frosted or fondant-covered cakes are soon becoming passé. Geode cakes are the new “in” and since the wedding season is on, we thought an update on the latest trend in wedding desserts was necessary. And now, these cakes are soon finding a spot at anniversary, birthday and other special celebrations as well. First created by Rachel Teufel of Intricate Icings, a Colorado-based baker from USA, the pictures of the cake went viral in early 2016. It was however, Australian bakers that helped it become the international phenomenon it is today. Soon, bakers and confectioners across the world began designing these fabulously eye-catching cakes. And by that we mean, at least 2000 pictures on Instagram and countless more on Pinterest. For the uninitiated, geodes are a type of volcanic rock creations that resemble normal rocks, which when split open reveal a dazzling crystalline interior. 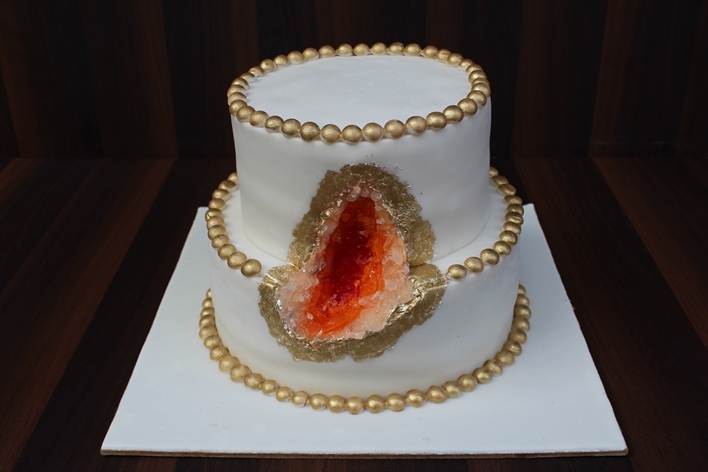 The geode cake simply translates this as a confectionery. These specially made wedding cakes look like the regular suspects you’d see at a reception party but reveal the inner crystal design when sliced apart. As with all elaborate cakes that take effort to put together, these geode cakes are no different. It can take as many as three days to “grow” the edible sugar crystals required to decorate the cake. For larger, more complex rock-like creations, a week’s time is needed. Just how good do these pretty cakes taste? Rock candy that is used to make the crystals is crafted from modelling chocolate, a fair amount of skillful hand-painting and sometimes, a gold leaf inlay for added flair. Amethyst, emerald and bright blue remain popular colours. If all these pictures have you wistful, have heart. Cocoatease, an artisinal chocolate and cake-delivery service in Mumbai custom-makes these pretty cakes. And we’re told the chef will create these jewel-toned desserts according to your liking and preference, albeit with prior intimation.